Who is the AEGEE member of the year 2018? Which antenna, which project was the best? What were the highlights of the year? And what will 2019 bring? The Golden Times asked more than 70 locally or Europeanly active members. Over the next two weeks you can see what they answered. In this edition: read what Lila Quaile, Batuhan Çarıkçı, Maria Smirnova, Gabriele Nicotra, Ilknur Demir and Luca Bisighini said. 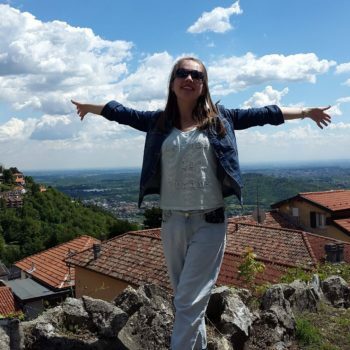 Lila Quaile: I guess my personal AEGEE highlight of 2018 was my election as the European Citizenship Working Group coordinator in Agora Kraków. That’s a tough question! 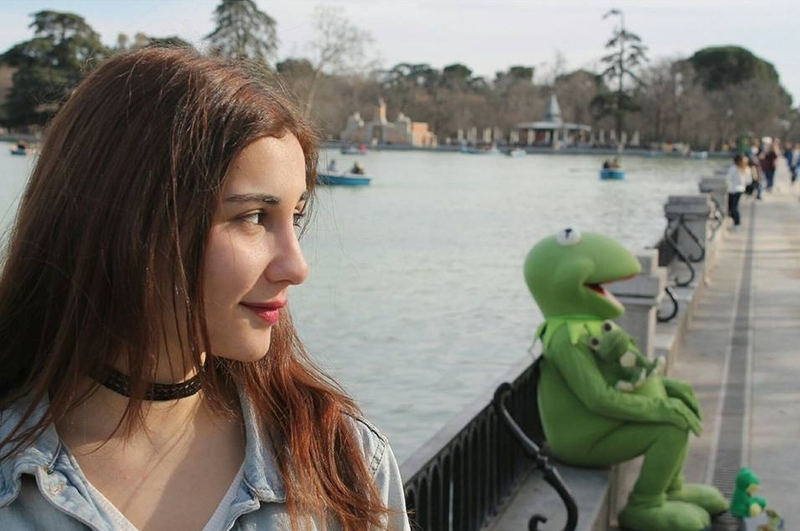 There are several within AEGEE but I think one of them is Oksana Prokopchenko. I’ve had the chance to work with her as her sub-commissioner and she is truly amazing. I think, in six months she succeeded to create a completely new area that works and is growing. Another one I would like to mention is Laura Blake, founder and President of AEGEE-Angers. I had the chance to meet her several times and to work with her closely, specially for the NWM and she is incredible. 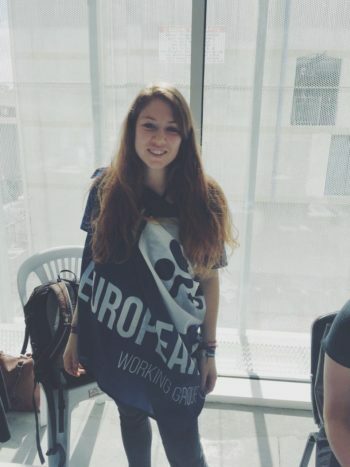 In less than one year she succeeded in creating one of the most promising AEGEE antennae! I would like to congrat her for the amazing job she is doing! It can sound presumptuous but I would like to say AEGEE-Paris, my antenna. I started from the scratch one year ago and we succeeded in organising two European events in ten months with very few people. Almost 30 new people joined us in one year and more and more are interested about our association day by day. I would like to thank all the people from my board for their amazing job! A second antenna I would like to mention is AEGEE-Angers. I am honestly impressed by them and how they manage to grow so fast and in such an amazing way! The guys are fantastic and they are planning some truly amazing events! Stay tuned! The 30 Years Anniversary of Summer University Project. I had the chance to be one of the adventurers and to travel in Spain for more than one week. It was an amazing experience and I am thankful to the project team for running the project so well! I do not know if it will be the big topic but I would like AEGEE to focus on the European Elections and I think we are doing quite well so far thanks to the amazing team of Y Vote! Following my Action Agenda Objectives – haha! Joke aside, we have some amazing ideas within the European Citizenship Working Group and I hope we will be able to implement them well. As sub-commissioner of Oksana for several French locals, I would like to help them growing on local but also on the European level. Batuhan Çarıkçı: During the closing plenary of Agora Istanbul 2018, the moment when Réka was giving a speech and at the same time crying, I was right behind her, and I do not remember how many different emotions were flowing inside of my brain at that moment. It is really hard to describe but I can say, it felt like we reached to the peak of a mountain despite hard snow and wind from all possible directions. So, of course I couldn’t hold back my tears there. EPM Yerevan 2018 was really a good opportunity for me – also for the network – to expand my horizon, I really enjoyed discussing in a peaceful environment, creating bonds with people there. Evrim Emiroğlu – as my “moruk” and a confidant, she is one of the most hardworking and determined people I have ever seen. She did a very good job in short time in 2018, and I believe she will keep going, of course! Refik Barış Özçelik – as my “partner in crime” I remember him being very active and working curiously in his very first Agora, Enschede 2017. After that he non-stop continued on the local level and successfully organised an NWM in İzmir as a coordinator. Within a month, he got elected as NetCom and became the vice-coordinator of EPM İzmir 2019. I think the year 2018 was really outstanding for him. I was a team member of the Youth Development Working Group in 2018, so the answer of this question is quite obvious for me. I personally developed myself a lot there, and working together with that team – especially Svenja – was really a big pleasure. This year I am unfortunately not so available to follow things closely that they are doing, but they have a team which even Real Madrid doesn’t have. They still have more than half a year left of their term, so I am sure they will keep rocking! Still, Brexit and the seemingly unstoppable rise of far right in our societies. After organising EPM İzmir 2019 successfully in February, I will check my options if I want run for one last round in AEGEE or not. I didn’t really plan yet. But most probably, all together with my flatmates as a tradition, we will rock our beloved flat, which we call as “Facilities” since 2014. Maria Smirnova: Probably, the Action Agenda drafting process during EPM Yerevan, where I was representing ACT. People in my group were so deep-thinking and creative – I literally admired them! And, apart from that – all those moments, when I, against all odds, was going to live meetings or statutory events, skipping important classes at the university, hitchhiking at night in the middle of nowhere with almost no money in my pocket – there you know, that you can go where you want and nothing bad will ever happen to you. The discussion about boards and visas at EPM Yerevan. I believe, that this topic should always be highlighted. And also Agora Kraków – saturated with contradictory events, where “almost everything what could ever happen” happened. Natalia Klimenko, who looked so professional, elegant and cool during the dialog with the externals at EPM Yerevan, and also has done huge content-related work. Elena Efremova, who has explored AEGEE far and wide, a walking encyclopedia on statutory events, GDPR pioneer and my best ex-Netcom couple. And Armenak Minasyants for the EPM. AEGEE-Yerevan for the EPM, AEGEE-Kraków for their Agora and AEGEE-Tbilisi for their cosy RTC. The Language Interest Group – they have been publishing lots of useful and interesting content and also conducted a pre-Agora online “learning Polish challenge” – yep, I have a weakness for Polish! Also the EaP+ project, which is versatile, active and constantly developing. You can use our Facebook page as news digest, as a key to new opportunities and as something truly interesting to read. Sustainability seems to be keeping its positions on top. Also, the topics which have all chances to be further developed – and I truly want them to be: equal rights and borderless Europe. I am going to have a “palm” New Year! I will go to Tenerife with my parents. 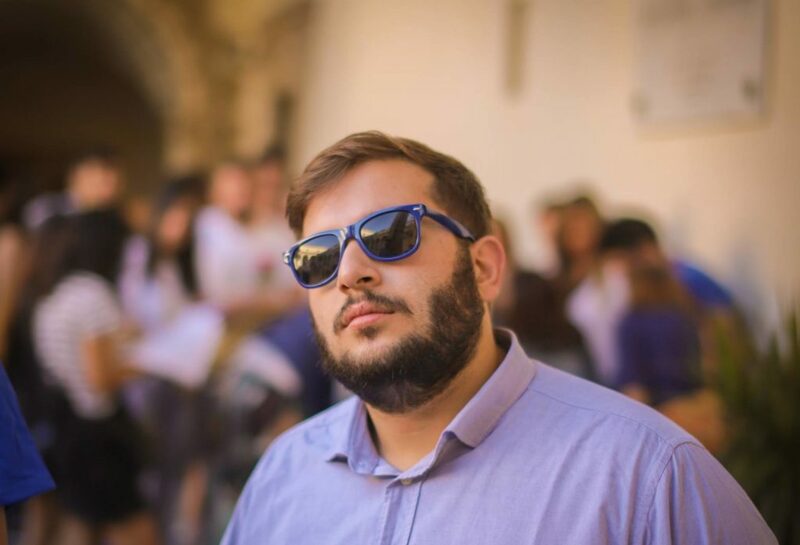 Gabriele Nicotra: My personal highlight this year was definitely the election as member of the Network Commission of AEGEE-Europe, I joined a great team and I was able to form an amazing SubCom team as well, it couldn’t be better! My favourite moments in AEGEE this year were two: in a gym and on a boat. Of course I am talking about Spring Agora Kraków and Autumn Agora Istanbul, the European Night and the Boat Party were just awesome! Did you know that outstanding is translated as Francescaameliazorcolo? You don’t believe me? Google it! She has been not only a great Netcom, but indeed a great friend and a model because of her “mom” attitude, her grit and tenacity. Also, during Agora Istanbul we broke her mattress and survived, unbelievable, right? AEGEE-Kraków and AEGEE-Istanbul, the coolest kids this year for sure! Well, well, well… Next year the European Elections will take place, let’s bring politics back to AEGEE! Develop and look after my local, keep up with the Netcom team and its projects and definitely help AEGEE-Salerno with their upcoming event! I wanted to organize a New Year’s event, but flying to Catania is complicated, which is just a fancy word for “freaking expensive”, and I had to cancel it. So I will work for sure! Ilknur Demir: The Summer University we organized with AEGEE-München and AEGEE-Stuttgart was my personal highlight in AEGEE this year. We organized a highly thematic SU with Model United Nations and Model European Union simulations, focused on international organizations and the upcoming European Parliament elections. I believe it was very fruitful and could be an example how Summer Universities could be also fun with great thematics. Mirek La – Model European Union lover, great European, filled with optimism and enthusiasm. Luca Baggi – awesome trainer, great intellectual, with the warmest heart. And Leonardo Manganelli – loyal knight, new POLIG hero, one of the most hardworking AEGEEans I have ever seen. 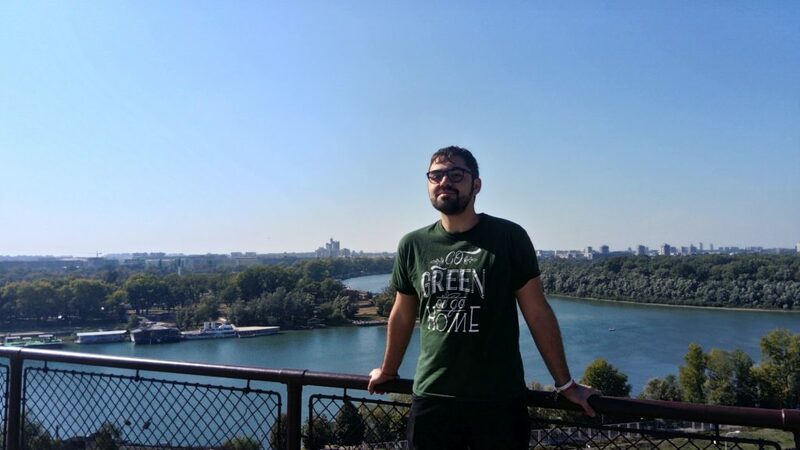 AEGEE-Istanbul – I believe they created miracles with their Agora organization, even though the universe worked against them with so many logistic troubles. 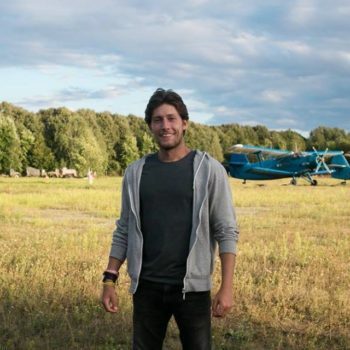 Luca Bisighini: Spring Agora Kraków, or as I call it, my Final Curtain with AEGEE events. Sorry #ZaTransib, but I am really a lot happy to have quitted earlier. In retrospective, I am super happy not to have been elected for CD, knowing all the consequences that would have mattered by that. Since that period, the majority of the single pieces of the puzzle of my life improved drastically for the better, thanks to all-time friends and thanks also to new ones. Most of them, outside of AEGEE. I can say to be very happy at the moment, happier than during the stressful first four months of 2018 – and I consider this a great personal achievement. Two in particular, one positive, one negative. First, the positive: seeing “Europe on Track V” members and ambassadors hugging at the end of their European run, possibly the very best positive message I have seen in years from anything AEGEE connected. Second, the negative – aside from the SUCT-related facepalming useless drama of Agora Kraków and the Shell motion with other facepalming moments, too – was an event almost nobody discussed. AEGEE-Rīga disappeared. In silence. The local of my first ever European Event. The only local in the Baltics to have organized a statutory event, disappeared. For another year, we lost another European country from the map. That’s quite meaningful about the current state of AEGEE: despite the hyper contested bureaucracy and criteria we can easily create plenty of contacts – how many, 6-7 new contacts? A lot! But we also let entire historical locals disappear. I will go with four names, but with one ex-aequo result. Jorge Sánchez Hernández and Philipp Blum above all members in the 1st place as ex-aequo. They took projects in their hands and elevated them to another level. I honestly don’t recall people who impacted that much in the whole of the organization in the last years. Then for the second, I will go with Timon Turban. He is one of the very few activists this organization has: someone to be utterly proud of. Someone that represents clearly what AEGEE should be about, especially if we do consider AEGEE as political organization. Lastly at the third place, Katharina Schwerdt, because she proved clearly that this organization can do much more things which are more attentive and connected to our living reality. I have two: AEGEE-Dresden, because it proved clearly that locals should speak up loud if something is wrong, like the facts of Chemnitz, instead of waiting all the times to have a reaction coming only from the Comité Directeur on every major thing happening. I loved also the fact that one AEGEE-Dresden member – Antonia von Richthofen – spoke loud against racism on behalf of ERWG; and proclaim ourselves anti-fascists in front of many injustices happening on this continent, despite the definition is hard for many AEGEEans to digest. We are in a Europe fuelled by populists and far-right, where we even have far-right think tanks like Gefira, created by highly-debatable former AEGEEans with no morals nor values, who are speaking against the rights of many people in Europe. Only few people and very few locals and few people are actually speaking up their voice, making statements and positions. That’s sad and I hope someone – in between these lines – will start promote trainings for how to do policy papers, statements and positions because it seems most locals have this need. They seem unable to understand that they are and should be the first actors and they barely not even act, unless it’s for partying. Many things which are against AEGEE values are ongoing in Europe in cities where AEGEE is present, doing nothing. AEGEE-Dresden was possibly one of the few locals really acting for something or at least demonstrating, instead of passively doing nothing. AEGEE-Yerevan is the second local I would like to highlight. First, because of their well-organized statutory event in a very far land bringing more than 100 people together, demonstrating to be professional in the organization and proving that those values and real AEGEE spirit you read in the Statement of Principles do exist, “somewhere in Europe”. Second, because AEGEE-Yerevan seems to care much more about the happenings ongoing in their region more than hundreds of locals of our network. When Armenia had a revolution ongoing in their country to overthrow a crooked political regime, some fearless AEGEE-Yerevan members took part in the demonstrations in the streets, leading as examples for the Youth people in their country, striving for democracy, doing something valuable, doing something political. That should be the AEGEE, a political yet nonpartisan organization, full of proactive youths, everyone should be proud to be part of. Europe on Track V and Y Vote, finishing with #ZaTransib10. The first for the reasons mentioned before for Jorge and Philipp: they believed in a topic, they worked perfectly for it and they made it bigger than ever tried before. About #ZaTransib10, well, what to say? Luckily we have locals who are able not just to do fun events like 90% of the locals just do, but to do deliver a huge project in terms of logistics and making it with a solid topic bound. AEGEE-Moskva again met and went beyond the standard barrier of excellence among all locals and to meet the level of inspiring locals. One day I will do for sure the whole Transiberian route on my own for sure, just because of the inspiration this project was able to bring to the collective mind of many AEGEEans. 2019 will be a year of change in Europe: the European Elections plus Brexit as well as the election of a new ECB chairman and other events are just months away. They can leave us a more conservative, less inclusive outcome for the future of youth in Europe and for the future of youth organizations including AEGEE. This organization, heading to its soon to be 34th anniversary, needs new projects and new ideas about much more topics to inspire new members and new locals to join. Some ideas are slowly getting obsolete and needs something to spice up the thing – starting from the core project: the Summer University. Maybe opening SUs to the outside world might help? With a quota of participants coming outside of Europe or out of the locals? I guess it was Réka’s idea, so I will quote her in before having a royalties request coming. AEGEE needs more courage and to do something in concrete, a lot of new faces to replace lots of oldies like me, more concrete academic or real-preparing-to-working-life related projects. Today I see very few ones and you can’t always teach non-formal stuff to people. AEGEE needs less events just concentrated on just having fun; otherwise AEGEE will always be trapped on just being an organization to party where maybe 500 people at best are brainstorming trying to make the wheel run. After Agora Kraków I said: stop with events. I felt seriously it was the very last European event and I don’t see any related AEGEE future plan. Maybe I might post something in some social media groups, just for the sake of sharing, like I am doing out of AEGEE in chats with friends already. My membership with AEGEE-Brescia expired and with AEGEE-Kraków I will let it expire in April 2019. Too bad for the Flixbus discount codes, though. I passed through the complete AEGEE HR cycle from being a newbie, to all of local level, all of European Level – both thematic and managerial – to finally attempting to get to the European Board and yay, failing miserably, LEL. So I did something like 1 out of 100 AEGEEans usually do: that’s a lot in retrospective. Luckily I consider myself done without any regret, all of this by travelling a lot, all of this by meeting maybe 2000 people in almost five years, with some of them I can be proud to call good friends for life, all of this having some lifetime memories nothing and nobody can take me ever away. I don’t feel that up for parties anymore: in six months I will be 30 years old and I kinda feel a discomfort to be at an event with people whose average age is 21, 22 or less, discomfort to debate about useless stuff like forever and discomfort to be in an organization with some older people who are just in AEGEE to just party. For sure I will keep the positive lifetime lesson very few inspiring AEGEEans gave me in these years: I will be always – from here on – a more responsible, critical minded person. I will try to experience different types of activism. I will be proudly try to be a proactive European Citizen. That’s for sure. With my girlfriend. Somewhere. In Europe.